Is home birth as safe as hospital birth? This is a question that mothers, fathers, and critics ask frequently. There are a plethora of studies within the field of obstetrics, and contradictory information is rampant on almost medical study you can find. This post is an attempt to pull together a few well done studies concerning the safety of home birth verses hospital birth. One of the best and most recent studies I could find was this one. You can read it in full here and I highly suggest that you do. The choice of where you birth is deeply important. There are risks and benefits to every choice, including some inherent risk in birthing no matter where you birth. Overwhelmingly this risk is higher for the baby than the mother. When we choose pregnancy we must accept some degree of risk. What is most telling about this study though is the type of midwife that it is examining. The Certified Professional Midwife or CPM has been widely criticized, even among home birth advocates. ACOG (the American Congress of Obstetricians and Gynecologists) only endorses the use of CNMs or Certified Nurse Midwives. The difference between the two, in short, is the type of education they recieve. CPMs in this study were certified through NARM or the North American Registry of Midwives. They do not necessarily have a bachelors degree nor are they registered nurses. They are not medical personnel per se. They do not have hospital rights in the United States. Their legality is questioned still in some states. CNMs however are medically trained, mostly practice within hospitals and are much more accepted among the medical world at large. They are nurses with an advanced training in midwifery. It is also important to note that in the United States there is not often a good working relationship between CPMs and the medical model of care. They do not often have transfer doctors or MDs that they work with. They are not supported by the hospital system. Why are these things important to note? Those within the medical industry grudgingly admit that some midwives (CNMs) who have more medical training are capable of attending births within the hospital setting. However the idea of a competent CPM is often found repulsive and is discouraged by ACOG. It has also been claimed by some that NARM refuses to share their actual data on the safety of home birth. This study proves otherwise. But let's get to the data, the science, behind home birth safety in the United States. To start, the sample size was decent, and this study compared home birth moms to similar hospital birthing mothers. "We focused on the 5418 women who intended to deliver at home at the start of labour. Table 1 compares them with all women who gave birth to singleton, vertex babies of at least 37 weeks or more gestation in the United States in 2000 according to 13 personal and behavioural variables associated with perinatal risk." First, they found that intervention rates were quite different between the home birth and the hospital birthing groups. "Individual rates of medical intervention for home births were consistently less than half those in hospital, whether compared with a relatively low risk group (singleton, vertex, 37 weeks or more gestation) that will have a small percentage of higher risk births or the general population having hospital births (table 3). Compared with the relatively low risk hospital group, intended home births were associated with lower rates of electronic fetal monitoring (9.6% versus 84.3%), episiotomy (2.1% versus 33.0%), caesarean section (3.7% versus 19.0%), and vacuum extraction (0.6% versus 5.5%). The caesarean rate for intended home births was 8.3% among primiparous women and 1.6% among multiparous women." They found that despite lower interventions, the home birth mortality rates were comparable to hospital birth rates. "The intrapartum and neonatal mortality was 1.7 deaths per 1000 low risk intended home births after planned breeches and twins (not considered low risk) were excluded. The results for intrapartum and neonatal mortality are consistent with most North American studies of intended births out of hospital11-24 and low risk hospital births"
If you would like to see the table of mortality rates in hospitals, (it is a great resource) you can find it here. "Among the stratified, random 10% sample of women contacted directly by study staff to validate birth outcomes, no new transfers to hospital during or after the birth were reported and no new stillbirths or neonatal deaths were uncovered. Mothers' satisfaction with care was high for all 11 measures, with over 97% reporting that they were extremely or very satisfied. For a subsequent birth, 89.6% said they would choose the same midwife, 9.1% another certified professional midwife, and 1.7% another type of caregiver." Some things to note about the strength of this study compared to others done are mentioned here. "Our study has several strengths. Internationally it is one of the few, and the largest, prospective studies of home birth, allowing for relatively stable estimates of risk from intrapartum and neonatal mortality. We accurately identified births planned at home at the start of labour and included independent verification of birth outcomes for a sample of 534 planned home births. We obtained data from almost 400 midwives from across the continent." The choice to birth at home is not a popular one despite some recent media attention to the contrary. Women overwhelmingly choose to birth in the hospital. The common criticisms of home birth, that only CNM's should be used and that the American CPM is badly trained and dangerous were not found in this study. In fact, their results were very similar to those of medically trained OBGYNs. The assertion that NARM does not disclose their statistics is also disproved in this study. One particularly telling thing is that these good results were present even in the United States where there is little cooperation between obstetrics and home birth midwifery care as compared to some other European countries where there is also stricter home birth midwifery requirements. Wherever you choose to birth, it is imperative that you have studied your choice and that you are comfortable with it. Knowing your care provider, their skill level, their certifications, their experience, and their history of deaths, if any, is something that the woman entering motherhood should be far more interested in than the nursery theme. If you are interested in more studies on this subject, there are many more. You can find them at the links below. Birth safely and in peace and with full knowledge of what is safe and what is not. You have a responsibility to know what is true and what is false. This study points out that planned home birth was slightly safer than hospital birth (Canadian). This is a large study abstract concerning CNMs involved in home birth and their safety. This is a study concerning mortality rates of intended home births. This study found generally favorable results with home birth. This is the response by Johnson and Davis to the critics of their home birth study, and is fascinating reading. Don't know if you've ever heard of or read this book, but if not, I think you would find it valuable! It's entitled The Five Standards For Safe Child Bearing by David Stewart. It's the most comprehensive book on safe child bearing I have come across! The Johnson and Daviss study ACTUALLY shows that homebirth with a CPM has triple the mortality rate of comparable risk hospital birth. The study is a bait and switch. As your quotes reveal, the authors compared medical interventions at homebirth in 2000 with hospital birth in 2000. But when it came to mortality, they compared homebirth in 2000 with ... a bunch of out of date studies extending back to 1969. Why didn't they compare homebirth in 2000 with comparable risk hospital birth in 200? Afterall, they had the data (which was part of the same dataset as the medical interventions). They didn't do that comparison because it would have shown that homebirth with a CPM in 2000 had a mortality rate almost triple that of comparable risk hospital birth in 2000. This study was specifically written to trick people, and it tricks almost all homebirth advocates. Amy- I think you might want to take a look at the table (as cited in the article) with the mortality rates that they used. Yes- some of the mortality rates DO extend back farther, but not all. So the claim that they used only modern HB infant mortality rates and only old hospital infant mortality rates is false. The data was from the same time periods for both in and out of hospital birth. I've just told you that the quoted homebirth death rate in 2000 is nearly triple that of the hospital birth death rate in 2000. It doesn't matter what a bunch of out of date papers (when the mortality rates were higher) shows. By the way, Johnson and Daviss have already publicly acknowledged that the death rate they should have used in the study is the death rate from 2000. I see only an opinion piece by you- not a research article...am I missing something? I guess I could link to an opinion on another blog I wrote too, but that isn't a study. You said that the home birth death rate is triple what is stated in this study. I just want to see that data. I have been looking for it but can't find it. I have been genuinely looking. And I would be embarrassed but willing to change my post if it is in fact incorrect. Your opinion however is not enough for me to do that. I can't take your word for this. I quoted Johnson and Daviss in the post as well as linked to the original. "... Since our article was submitted for publication in 2004, the NIH has published analysis more closely comparable than was available at that time, and some have tried to use it as a comparison. While we still do not offer the comparison as a completely direct one, as it is the closest we have and the comparison is occurring regardless of our cautions, we offer the following adjustments that have to be made to provide the comparison of the CPM2000 analysis in as accurate a manner as is possible with the published NIH analysis." They say that the data wasn't available, but it was published in 2002 at the same time as the medical intervention data. The only valid comparison is to homebirths of comparable risk women in the same year (approximately 0.7/1000). That information was available, but they didn't do that comparison because it shows that homebirth increases the risk of death. This is why there is such a gulf between homebirth advocates and obstetricians. Homebirth advocates cite studies that claim to show that homebirth is safe, but when you actually read the studies you learn that they show nothing of the kind. The Farm Study (Durand, 1992) is another bait and switch. Durand did not compare homebirths at The Farm with comparable risk hospital births in the same year. He compared them (as he acknowledges in the article) with a survey of HIGH RISK births in the same years. That was the only way to make The Farm statistics look good. Interestingly, MANA has continued to collect data on homebirth safety. They have collected information on 23,000 homebirths but they refuse to release the death rates. How can you trust people who won't even tell you how many of their patients died? I don't know how you can read deceit into a study or the intent of those doing it. How can you know that anybody intends to be deceitful? I am not following what MANA has to do with this discussion directly? NARM is the group quoted in the study as collecting data- and they DID provide their data, unless I am mistaken. I don't know anything about MANA but don't see how their unwillingness to supply data (if that is in fact true, you did not provide anything other than your word on that either) has anything to do with the actual article quoted- they were not even mentioned in it. And the farm does do high risk births- breeches, twins, VBACs, grand mulptips and such. The reason there is a gulf between HB and obstetrics is not just HBirthers citing studies they like- each side does that. You are not exactly trying to calm the waters and close the divide mama. The hard part about citing studies comparing homebirth/hospital birth is that home birth makes up only 1% of births in the US, so results in either directions for either case are going to be skewed in order to make up the difference in numbers. I just hope and wish that people would then be more fair about both of these things, considering how comparable they seem to be. I read the entire article, "BMJ Home Birth Study" from their website that you mentioned. I could not find the quote that you used (without a citation I might add) nor could I find any kind of retraction. I did find this---another study done that found similar safety (actually better) in home births compared to low risk hospital births. all potential risk variables collected." I realize it doesn't include intrapartum mortality- but still this mortality rate is much much higher than the home birth mortality rate, is it not? click on the pdf link on the bottom of the page to view the full article. Your article claims that they should have included the hispanic death and the hispanic births in their study though the NIH study only included white/non hispanic mothers. This makes no sense- why should they include death rates and deaths for groups in their HB study when they were not included in the NIH hospital birth data? Hint- "because I, Amy, don't like HB" is NOT a valid answer. It makes no sense for them to include data that is not included in the comparable hospital studies. What on earth are you talking about? Can somebody else please cite their sources besides me? "The only valid comparison is to homebirths of comparable risk women in the same year (approximately 0.7/1000). That information was available, but they didn't do that comparison because it shows that homebirth increases the risk of death." The study you suggest they use as a comparison is not a good comparison, it DOES (despite your claim to the contrary) eliminate women in which risk factors occurred in labor. It would have also eliminated the deaths you claim that the Johnson and Davis study should have included (the significant anomalies and babies that would have died despite birth place) because these mothers had they been birthing in hospital would have had their risks risk them out of this study too- so it is perfectly logical and more comparable for the Johnson and Davis study to also remove them from the data set. I get that you don't like home birth- that is fine by me. I am not discouraging hospital birth, only offering evidence with links to studies that home birth is a safe option for low risk women. Just because we don't like the outcome or findings of articles does not mean that we should dismiss them. This goes for you as much as it goes for me. Happy hunting and thanks for visiting. It's been fun. Sorry, I just came from your facebook page; I was going off of the statistics from the links that you posted about this subject and the planned c-sections and that others then posted in comparison. I can post them again, but I think it would be redundant? This is why it is so important to understand statistics, otherwise you are easily tricked. Like must be compared with like. The overall neonatal death rate includes all races, all gestational ages and all pregnancy complications. Therefore it is the wrong comparison. The correct comparison is with "all women who gave birth to singleton, vertex babies of at least 37 weeks or more gestation in the United States in 2000according to 13 personal and behavioural variables associated with perinatal risk." Johnson and Daviss knew that. That's why they used that comparison group for medical interventions. But they didn't use it for mortality because the mortality rate in that group in 2000 was 0.9/1000, far less than in the homebirth group. Johnson and Daviss have already acknowledged that they should have used the same group for both comparisons, but claimed that the mortality data wasn't available. Considering that the data was published in 2002, fully 3 years before their paper, that's just another attempt to trick homebirth advocates. I read one of Dr. Amys blog posts. She clearly had a bad experience. Then shares all the wrongs homebirthers have had done to them. She is extremely one sided. She doesnt discuss positives of anything, much less homebirth. Ive had 3 unnecessary c/s. Two babies were cut from them, all 3 couldnt breathe when they were born. Id had adhesions attaching my bladder completely to my uterus after my 2nd c/s. My ob, after a year of frequent visits, ultrasounds and complaints of not being to stand up straight, never listened. I switched obs and 5 months later had laparascopy. My 3rd c/s i was told id have to have or be refused care even though i was in labor, and was told it was because of my two prior unnecessary c/s. Baby #4 came in a hosp we had to drive 4 hrs to, with a incredible dr that we had to drive 4 hrs to for every appt with 3 kids in tow. I pushed him out with 3 pushes. My ins has changed and does not cover that dr. Im expecting #5. All drs in my area will NOT let me vbaccc again even with my most recent vbirth. Now from my past experiences do i want another c/s. Uhm no. HECK no. If i get cut open again i want my tubes tied. I had a ob last month tell me i have a 10% chance of uterine rupture. I retorted back to her the correct statistics, she nodded her head in agreement that i was right and said that she didnt have a leg to stand on legally. My only choice is a homebirth. Knowing that birth is risky no matter what (dr. Amy never acknowledges that). Im choosing homebirth. It has lower risks then another c/s and yes ive done my research. I quoted J and D's response- they didn't say that. I read it. I even linked to it. They just explained why they used the data they did the way they did. You didn't do any of those things. You quoted a BLOG that YOU wrote to back up YOUR assertions. Maybe you should quote yourself again to back up your claims? I am sorry but I am having a hard time taking your supposed word on anything. You send me in the general direction looking for stuff you claim, but don't tell me where it actually is. Still, I read all the stuff you linked to (including the CDC data which you also linked to in your blog article- BTW, a blog article is not a study, it is not scientific, nor does it carry any weight, no matter who writes it). I only mentioned the CDC data because you linked to in in YOUR article as though it showed the data you were claiming. The number I quoted, which you claim can be "easily confusing" to lay people is the only overall mortality rate I could find in there. If it is incorrect why did you link to it? Could it be that you only included these links to appear as though you were backing up your data, knowing full well that most people would not peruse them, and definitely not trudge through pages and pages of CDC reports. Except I did trudge through all your links and I NEVER found what you are saying was in there. A link or a quote or a number is totally useless if it doesn't actually say what you say it does. I am not trying to find incorrect data, I was simply restating what you posted as backup to YOUR claim. I fully realize that it is a very different number. Nowhere did I find that they "acknowledged" any such thing. But I did quote what they ACTUALLY said above. Sadly, A, what people say for real and what you say they say seems to be very different. Do you really want to tell me again how dishonest "they" are? Again- it's been fun. You are a fascinating individual with an even more fascinating approach to statistics, truth, and "science". Thanks for reading, and please, come again. Different studies, different group of women, different methods, different means to an end- not sure how it applies, frankly. You still keep willfully avoiding the point. In order for a comparison to be valid, it MUST compare like with like. The ONLY valid comparison for CPM attended homebirth in 2000 is comparable risk hospital birth in 2000. There is no possible way that studies extending back 40 years (when the mortality rates were substantially higher) is a valid comparison. The death rate for comparable risk women in 2000 was 0.9/1000. By the way, you might be wondering why Johnson and Daviss would deliberately offer an invalid comparison. Perhaps it has something to do with the fact that Ken Johnson is the former Director of Resaerch for MANA (not disclosed in the paper) and the study was funded by a homebirth advocacy foundation (disclosed at the end of the paper). Betty Daviss, his wife, is a homebirth midwife. Let's leave the Johnson and Daviss study out of this for a moment. What studies can you provide that show homebirth in the US is dangerous? You claim the Johnson and Daviss study is flawed, Ok. The Wax study is flawed too, right? So, what is your evidence that homebirth is so dangerous? I know you like to use studies from other countries but that doesn't apply here, if it did, I could use the study done in Canada to prove homebirth is safe here. I know you like to use the CDC data set but that is not scientific evidence because it has not been peer reviewed. In addition to that, the CDC dataset is based on two years and DOES include high risk women. What real evidence do you have that LOW risk women attended by CPMs is dangerous here in the USA? Because that is the bottom line. Do you have the proof to say homebirth is dangerous? If you don't have it then ALL of this nonsense is futile. Let mothers make their own choices and stop telling them they are being reckless and selfish by having a homebirth. You can't use what you speculate MANAs numbers to be- I didn't know that people who claim to be scientific and skeptical, can turn assumption into fact and provide it as evidence-?? I know you may think the study done in Missouri proves homebirth is dangerous too. The outcomes of one state still does not prove homebirth is dangerous across the board. Honestly, Dr. Amy, what do you have? Even the Wax Study showed that the perinatal death rate for homebirth babies and hospital babies is the same. And that study was supported by ACOG. I know you are famous for saying that the WHO states the perinatal death rate is the best measure of obstetric care. If that is the case, doesn't the Wax Study prove that midwives have the same outcomes as OBs, as far as deaths go? I would also like to add this... you support elective c-sections as being a very safe way to bring babies into the world, correct? So if the neonatal death rate for elective c-sections babies is 1.77/1000 and the neonatal death rate for homebirth babies ( according to the CDC numbers which you stand behind) is 1.2/1000, isn't homebirth safer than having an elective c-section? And then if you take VBACs into account, a TOLAC has a neonatal death rate of approx. 2/1000. So, doesn't THAT mean that homebirths are actually safer than having VBACs in the hospital? I just read an article you wrote where you said the risk of a VBAC is an acceptable risk to take. But according to these numbers, VBACs cause more deaths than homebirths do, correct? I have all the links to these numbers on my blog if anyone is interested. You claim over and over and over again, how homebirth is a dangerous and ignorant choice but you stand behind VBACs and elective c-sections, even if that mother wants one simply because she is afraid of the pain. If you are going to stand behind and support elective c-sections and VBACs, then you should do the same for homebirths. "The death rate for comparable risk women in 2000 was 0.9/1000." So, low risk women giving birth at the hospital have a neonatal death rate of .9/1000? And according to you, the CDC dataset states that homebirth mothers have a neonatal death rate of 1.2/1000( including high risk ones.. as you have said yourself, birth certificates are notoriously bad for leaving out details of the mother. Details which prove if she was high risk or low risk. I can link to where you said this in case you forgot). So, let me get this straight. This entire homebirth is dangerous hoopla is based on a difference of .9/1000 and 1.2/1000? And the 1.2/1000 numbers include high risk women?? I am going to go out on a limb here and say that if the high risk women were removed from the equation, the neonatal death rate for mothers choosing homebirth would be somewhere around - oh, .9/1000. Yeah, I'm thinking that homebirth is as safe as hospital birth, unless of course all these numbers are wrong. Are they Amy? They addressed the questions about their study- I read them, I quoted them. Even when comparing like with like- which they did and which I quoted above the rates were still comparable of mortality home vs hospital. Read through their response again if you like. I linked back to all MY sources. As an aside, "they have an agenda" --Seriously mama- are you trying to be funny or does it just come naturally? I'm not sure if the statistics stand alone. Seems like they can. I think that's a good question because it seems to be done often. The Skeptical Mother, I thought the home birth statistic was 1-2/1,000. (1 slash 2 rather than 1 dot 2) ? According to Dr. Amy, the CDC dataset from 2004-2005, shows the neonatal death rate to be 1.2/1000. Also according to Dr. Amy, birth certificates leave out a lot of information about the mother (the CDC numbers are based on birth certificates) such as, was she high risk or wasn't she. The truth is we do not know if the CDC numbers are based on only low risk women, therefore we cannot assume that they are based on only low risk women. We do know that high risk women sometimes choose homebirth though. It says that neonatal mortality for home births is 3x higher. That the perinatal mortality rates were similar. Seili- That is the Wax Study I was referring to. What is interesting about that study is that the perinatal death rate is the same, which is stillbirths and births up to seven days. The neonatal death rate is births from seven days to 28 days of life. What is happening between day 7 and 28 that makes more babies from homebirth die? BUT, and this is even more interesting, the perinatal death rate from this study was based on around 500 deaths- the neonatal death rate was only based on 37. So, why the big focus on the neonatal death rate? Especially since the perinatal death rate is the best measure of obstetric care. That study has been criticized by a lot people actually. And I believe the main issue that most people have a problem with is the neonatal death rate. I don't think anyone argues that the perinatal death rate from that study is wrong. I could be wrong though. Anyway, my opinion is that the Wax Study makes homebirth look safe and it also concludes that mother and baby have many more benefits by staying at home. I'm going to have to look into all more. It seems no matter what kind of study is done, we all might be able to find fault with it. It seems that, within reason, all of these things can be safe and vary depending on the situation. Outside of definite negligence (and I guess that is where the debate always lies...) everything seems to have its place. Maybe simplifying the whole matter, but only something like the Nazi's taking newborns in concentration camps and drowning them really warrants all the outrage. "It seems that, within reason, all of these things can be safe and vary depending on the situation." Bingo!! However you choose to birth is your decision, just make sure you are informed of the risks. There is no need to tell someone she is a bad mother for how she chooses to give birth. Wait.. isn't that what you often say Amy? That should go both ways. Leave homebirth mothers in peace already. FFS. "Let's leave the Johnson and Daviss study out of this for a moment. What studies can you provide that show homebirth in the US is dangerous? You claim the Johnson and Daviss study is flawed, Ok. The Wax study is flawed too, right? So, what is your evidence that homebirth is so dangerous?" It's not my job to prove that it is dangerous. It is your job to prove that it is safe. The J&D study actually shows that homebirth increases the risk of death. The Farm Study actually shows that homebirth increases the risk of death. In fact, there is not a single American study that shows that homebirth is safe. The CDC statistics (on CDC Wonder) show that planned homebirth with a CNM has double the neonatal mortality rate of comparable risk hospital birth and planned homebirth with a non-CNM midwife has triple the neonatal mortality rate of comparable risk hospital birth. This finding is quite robust, occurring in every year for which homebirth statistics exist. Statistics from the licensed midwives of Colorado show that they have an appalling and rising rate of perinatal mortality. Their mortality rate is double that for the state as a whole (which includes all gestational ages and all pregnancy complications) and the intrapartum death rate is 10 times higher than comparable risk hospital birth. A new paper "Birth outcomes of planned home births in Missouri: a population-based study" by Chang and Macones published in the American Journal of Perinatology in August 2011 shows that planned homebirth with a non-CNM midwife has an intrapartum death rate 20 times that of comparable risk hospital birth. The Midwives Alliance of North America (MANA) spent 8 years and tens of thousands of dollars collecting data on 23,000 planned CPM attended homebirths. While they were collecting the data, they promised that it would demonstrate that homebirth is safe, but once they analyzed the data, they refused to release it. So even MANA knows that homebirth has an unacceptable death rate. They just don't want potential customers to find out. Dr. Amy, it IS your job if you make a statement to back it up with facts, not supposition or opinion. especially so with a MD after your name should be willing to follow that standard of backing something up with evidence and not just conjecture. I've got to admit, that whole MANA thing and not releasing data does worry me. Does anyone have information to help explain it? Mostly, by this point, I am just so darn curious about it. "it IS your job if you make a statement to back it up with facts"
My claim is that there is not a single scientific paper that shows homebirth to be as safe as hospital birth for comparable risk women. The Johnson and Daviss paper doesn't show it and the Farm Study doesn't show. If you want to rebut me, you need to find scientific evidence that homebirth is safe. Only homebirth advocates think that homebirth is safe and that's because professional homebirth advocates (and lay ones like Mama Birth) misrepresent the scientific evidence either deliberately or because they never read it and wouldn't understand it if they did. ALL the scientific evidence as well as state and national statistics show that homebirth increases the risk of neonatal death. Even MANA's own data shows that homebirth increases the risk of neonatal death! The only people who are unaware of the facts are homebirth advocates. clarification of my claim: My claim is that there is not a single scientific paper that shows American homebirth to be as safe as hospital birth for comparable risk women. The whole MANA thing is pointless. We don't know, we can't speculate and if we choose to speculate, then all we have is.... speculation! Dr. Amy, you cannot call yourself a skeptic and use MANA as evidence of anything. YOU are the one who constantly tells us homebirth is dangerous. If I was eating a cheeseburger and someone came up to me and said- "Stop eating that!! Don't you know cheeseburgers are dangerous??!!" Would I really need to go find evidence that eating a cheeseburger was dangerous or would that person need to present me with something that proved that what I was doing dangerous? You claim it, you need to back it up. You can't use the CDC dataset until 2004 because before that time there was not enough information put on birth certificates to be able to even use birth certificates and get any accurate info on the homebirt #s. If I am not mistaken.. 2004 was the year that MOST states implemented place of birth and attendant at birth on birth certificates but not all states. When did all states implement this? That is a pertinent question because if it missing from the birth certificate than unattended births could be included in the homebirth numbers. Putting that aside though, the CDC numbers are raw data that has not been peer reviewed. You always say all the *scientific evidence* supports the fact that homebirth triples the neonatal death rate. Well, the CDC numbers are not scientific evidence. And they include high risk women, at the very least we cannot prove that high risk women are not included. Again, data from Missouri and Colorado do not prove homebirth is dangerous across the board. What if Florida and Vermont release their statistics and it shows homebirth is safer than the hospital? Does that mean we can say that all hospitals are dangerous?? Dr. Amy, you are not being honest to women. If you want to be honest then say that it some evidence shows that homebirth may be riskier than hospital birth but at this time, we do not have enough evidence to make any conclusive statements. What about the fact that elective c-sections have a higher neonatal death rate than homebirth? You support elective c-section and I have even seen you write that elective c-sections are the safest route of birth. What does that say about homebirth then? "The whole MANA thing is pointless. We don't know, we can't speculate and if we choose to speculate, then all we have is.... speculation!" Oh, please. We all know that if the data showed that homebirth is safe, MANA would be shouting it from the rooftops. Moreover, regardless of what it shows, it is unethical to withhold homebirth death rates. MANA knows what they are and American women deserve to know what MANA knows. I can't think of a single legal, moral or ethical reason for withholding the death rates. Can you? "clarification of my claim: My claim is that there is not a single scientific paper that shows American homebirth to be as safe as hospital birth for comparable risk women." "Oh, please. We all know that if the data showed that homebirth is safe, MANA would be shouting it from the rooftops. Moreover, regardless of what it shows, it is unethical to withhold homebirth death rates. MANA knows what they are and American women deserve to know what MANA knows. I can't think of a single legal, moral or ethical reason for withholding the death rates. Can you?" That is not the point though. The point is, we do. not. know. what the MANA numbers reveal. Listen, we know homebirth has the capacity to be safe. That is a fact because of the study that was done in Canada. So, if it has the capacity to be safe, how about we all work together to make sure it is as safe as possible? That is not going to happen by creating all this friction between the two sides. We could work together, you know.. actually accomplish something. It would be nice!! Women will always choose homebirth, I really wish you would stop judging us so harshly for this choice. Maybe you are aware and maybe you are not but I chose homebirth for a very personal and emotional reason and it really mattered to me. You are wrong about why I chose it, yet you often tell people all over the internet the reasons why I did- as if you have some insight into my personal choices- thousands of women's personal choices? Think about that next time. I'd appreciate it. "Yup. And there also isn't any scientific evidence in this country that proves homebirth is dangerous." Sure there is. The Johnson and Daviss study actually shows homebirth triples the mortality rate. The Farm Study actually shows that homebirth triples the mortality rate. The CDC statistics shows that homebirth triples the mortality rate. The Colorado statistics show that homebirth has an intrapartum death rate 10 higher than comparable risk hospital birth. The Missouri statistic show that homebirth has an intrapartum death rate 20 times higher than comparable risk hospital birth. And, in addition to that evidence, MANA refuses to release its own death rates. You can desperately keep pretending that homebirth is as safe as hospital birth, but you have no evidence to support it. Moreover, I noticed that you can't think of a single legal, moral or ethical reason for MANA to hide its death rates, either. We both know that they are hiding their death rates because homebirth with a CPM has an unacceptable rate of neonatal death. "Listen, we know homebirth has the capacity to be safe." But Canada has abolished the CPM because they consider CPMs unqualified. 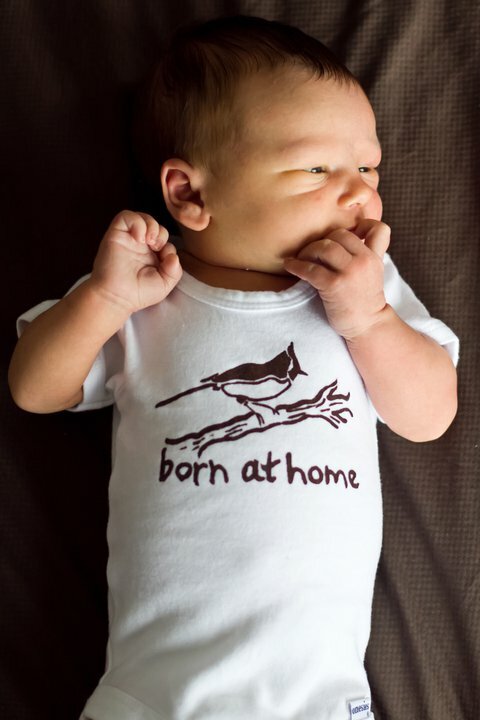 And we already know that American homebirth with a CNM has double the rate of neonatal mortality of comparable risk hospital birth (Infant outcomes of certified nurse midwife attended home births: United States 2000 to 2004, Malloy, Journal of Perinatology (2010) 30, 622–627). ALL the existing scientific evidence AND national and state statistics show that homebirth increases the risk of neonatal death and there is NO evidence that it doesn't. You can't be informed about homebirth if you don't know that. Amy- I really appreciate you playing with us- Oh- and when you come over for dinner- don't forget the salad! I read all the info- it does not say what you say it says. It is ok if you don't like home birth. It is ok if you think it is unsafe. It is also OK if there are studies to the contrary. You still don't have to like it. I would have changed my post if I could have actually confirmed your claims. I checked them- all of them. They were just that- claims. The data and sites you sent me to did not confirm your claims. I do like home birth- but I absolutely refuse to lie just to justify my opinion. I repeat- I REFUSE to lie to do justify my opinion. The fact remains that this study DOES find home birth as safe as hospital birth. PERIOD. You don't have to agree with the study. Still- it is OK to hate home birth. Really- I will still love ya! You are entitled to your opinion. But if you want to share it here- back it up. You didn't- you won't- you can't. That is why I spent a few hours last night checking all your claims (you wouldn't give me the data yourself) and they are simply false. Once again- it's been fun- feel free to carry on. Oh- and thanks for sending some peeps my way Amy- much appreciated! "The fact remains that this study DOES find home birth as safe as hospital birth. PERIOD." No, it doesn't. You don't have to take my word for it. Ask any independent person with a background in science and statistics and they'll tell you it's a bait and switch. The fact that you don't understand that tells us more about you than about the study. Please get back to me when you have shown it to an independent person who has a college level background in statistics. You are going to show it to someone else, aren't you? After all, you do want to know the truth, don't you? I encourage anybody interested to do their own research. I DID post the links to all the data that I showed. Decide for yourself what you believe based on the evidence. Don't let me or my blogger friend Amy tell you what to think. Apply the same standards to claims from both sides. Remember that blogs are just that- blogs. No matter who claims to write them or what degrees they claim to have. Nobody fact checks a blog. Dr. Amy, I love how you ignored every valid point I have made and focus only on the things that get us nowhere. That is why no one wants to debate with you, you talk in circles. Again, lets go through it one by one. MANA- we know nothing, all we have is speculation. Next. CDC data- includes high risk women, only two years of RAW data, is not scientific evidence. Includes unplanned/unassisted births. Next. Missouri and Colorado data- two states, Amy. What about the rest? Rates of neonatal death were 1.4/1000 among planned homebirths attended by non-CNMs, 0 among planned homebirths attended by physicians/CNMs and 0.6/1000 among hospital/birth center births attended by physicians CNMs. ZERO homebirth deaths attended by physician/CNMs and .6/1000 at the hospital? So, does this mean it is safer to have a homebirth with a CNM in MIssouri than to give birth in the hospital? Maybe we should let people know that, Amy! the rates of intrapartum fetal death were 0.9 per 1000 births among planned homebirths attended by non-CNMs, 1.7/1000 among planned home births delivered by physicians/CNMs. Doesn't THAT mean that the intrapartum fetal death rate is lower when one gives birth at home with a CPM rather than a CNM or physician? Hmmm. Interesting. Next. Johnson and Daviss study- you are the one that claims it is flawed so if that is your claim, you can't use it. A flawed study is a flawed study. Next. The Wax study- flawed again. However, does show the perinatal death rate between home and hospital to be exactly the same. Next. The study done in Canada- CPMs were working in Canada when that study was done. Do you have sufficient evidence to prove that the midwives in that study were not educated here in the states? Do you have sufficient evidence that proves that no CPM or canadian midwife who was educated here, is working in Canada? Next. The Farm Study- many high risk women delivered at the farm and any woman who had prenatal care at the farm and gave birth in the hospital was included in those numbers. Next. Am I missing anything? Is this really all that you've got Amy? This is pitiful. All this fuss over not one bit of substantial evidence. Yes. You're missing even the most basic understanding of science, statistics and childbirth. You have literally no idea what you are talking about. It's not something that can be remedied within the confines of a blog post. You need a college level course on statistics for starters. Typical. You can't refute me so now you claim it is too difficult for you to explain-? If I am wrong, it should not be difficult to show that. Point out my mistakes, provide links, explain it, Dr. Amy. Go down the list and give a simple explanation of why I am wrong. I am interested to know. In the (over 100) comments you will find that even scientists find the same problem with your "doctored" claims that I did. But hey- if people don't buy you un-cited "claims", read the evidence and find you are fabricating what you say- you can always call them uneducated!!! If you were right you wouldn't need to resort to insults. I expect more from you Aimee- after all we have been through the last few days!!!! You are breaking my heart sister. "Discussions about these issues would be complicated enough, even without the unscientific accusations and conclusions from Amy. Even the latest comment, “Because homebirth midwives are grossly undereducated and grossly underqualified and homebirth increases the risk of neonatal death,” is simply unnecessary. It has already been pointed out that qualifications of midwives in America vary, and that the risk of neonatal death in home birth is firstly, not directly comparable, and secondly, the methods Amy uses are not much better than the study she’s criticizing. Even more unnecessary are suggestions about Colorado midwives not disclosing data, when similar data regarding hospital births are also hard to come by. And I’ve already pointed out the strawman argument about midwives vs. obstetricians." People should be able to choose what they feel is best for their birth. For some people the studies are important and it would be great if they were all done well without any bias one way of the other but that is not the world we live in. It does not change that we should be always have the right to chose what we feel is best. Take in as much info or as little as you want but make your choice because it is your choice and should never be someone elses. We humans argue/debate about the silliest things. I was just reading this comment thread, particularly the up and back between Dr Tuteur and some of the homebirth proponents. I'd just like to add my own two cents. I don't choose to backup every little opinion with a detailed analysis of the papers out there, but they are based on my opinion of their research methodologies, based on experience and a solid background in such things. Overall, I think the data _is_ supportive of the idea that homebirth is associated with an increased risk of perinatal/neonatal death. I think a three times elevated risk is fairly well supported in the literature, and don't find that there is a consistent problem with the research methodology that would lead one to doubt that. Furthermore, as a practicing obstetrician who has delivered or supervised the deliveries of over a thousand deliveries, I find that number very easy to believe. I have seen plenty of situations that could not have been easily handled at home. I have also seen situations where hospital practice has led to outcomes that might have been avoided at home, but never a neonatal death that could be attributed to such. I do wonder when people doubt these figures, and question whether or not they really a very comprehensive experience in childbirth. Certainly one could attend 20 deliveries and get the idea that nothing bad ever happens by sampling error alone, but if one delivers 300-400 babies one is going to know that some things are just unexpected and sudden. The whole idea of "low risk" versus "high risk" falls apart when you realize that a great number of bad things actually happen to "low risk" mothers, if only because there are just so many more of them. That all said, the studies still only show a 3x risk of neonatal/perinatal death, which totals to 3/1000, which is still very low. I do recognize that homebirth provides something for mothers that they value, and that they may think it is worth it. We accept very small risks for various reasons all the time, and this risk is small enough that it is OK to do this in my opinion. Mothers are bound to to take reasonable actions to protect their children, not go to the ends of the earth to eliminate every conceivable risk. As for the MANA data, I do believe that it shows a surprisingly high death rate. I have not seen it myself, but take this on advisement from a homebirth midwife who did see this data and shared her opinion of it with me. While I disagree that we can know for certain what the data is without having seen it (as Dr Tuteur implies), I think more than likely she is correct in this issue. I don't think there is NO risk to HB, I also realize that there certainly are risks that can't be handled at home. Not only that I realize that either way the risks are low. I have not been able to find that data though- ANYWHERE. I would read it, talk about it, share it, if I could actually find it. The numbers that Miss Amy gives are not from any actual study. They are numbers that she made up when she added back in deaths that would have been deaths anywhere. She doctored the numbers to suit her purposes. The data in the study which was from the MANA data didn't show a 3X risk. I hear lots of anecdotal evidence constantly on the risks of hospital birth- even neonatal death at the hands of care providers. That is sad- but I don't know if it is true and I can't prove it. Hearing from someone in a field that such and such is true does not make it so. Personal opinion varies. What I REALLY want to know is why Dr. Amy wastes so much time attacking NB. I'm with you Mama Birth. It is fine if she hates it, people do not have to do things the way I do it. But in my mind when someone dedicates so much of their life to something there needs to be either financial implications or serious psychological implications. I realize that as an OB her livelihood comes from hospital birth, but it's not like her income is being threatened by the small percentage of home births. So is she being funded to fight the home birth movement by someone else. Did her own family member die in a home birth setting? Can someone tell me why she is so adamant about this? Let's just say for arguments sake that everything she says is right and home birthers are crazy lunatics who are causing a bunch of preventable deaths... Why does she care so freaking much. And frankly if she can't claim that she cares because she wants to save lives because making it your life to FIGHT with people and talk down to them does not change opinions. Stacey, the best part is...she hasn't practiced in years!!! So she actually does not have an income related to obstetrics that would be influenced. I, for one, think it's absolutey amazing how much time she has on her hands. There is no way she is gainfully employed with the amount of time she spends on the internet. It's a good thing she wasn't born 100 years ago when there was no internet because I am just not sure what she would do all day! Mama Birth and Skeptical Mother, I have truly enjoyed this comment thread as well as the article and I think it's lovely how respectful you are to a woman who falsely represents herself and takes a malicious attitude towards people who purely have a differeing opinion than herself. I'm with Stacey, why does she even care? I have never seen someone care so much about something that really does not affect them. I think it's hilarious how she continues to put "MD" after her name as if it supposed to give credibility to her opinions which clearly she believes to be fact. I also don't understand why she, or anyone, cares about dissecting specific studies so much. I AM a scientist and the entire reason I did not want to go to the hospital to have my baby and stayed home with no midwife (because there aren't any where I live) is because of that. Science to me is nature. Nature designed pregnancy and birth. So, why on earth would I go to an unnatural location to give birth in an unnatural way with unnatural intervention? That's not scientific at all!!!! I don't need a study or statistics to tell me how I instinctually FEEL about something. It's called listening to your intuition and it will tell you a lot more than any doctor, midwife or stupid study. I think her arguments definitely go in circles and in the weeds from the original topic!!!!! But what is a chance for this woman to have unnecessary medical intervention deteriorating her birth experience at a hospital? at home? About myself - I had 2 great experiences with water birth at St. John's hospital in Westlake, OH, attended by a CNM and rather "normal and natural" first "dry" birth at CCF, Cleveland, OH. So you would not suspect that I'm all biased. (I hope not to provoke outrage regarding water birth :-) I've chosen hospital birth because of great 5-star resort-like experience we had there (and good insurance coverage). If my territorial and financial circumstances were different I'd gone for home birth. If all US hospitals had similar teams and conditions as mentioned ones there would be nothing to discuss here. Now that MANA has released their data from their 2004-2009 survey showing a definite increase in adverse outcomes of Homebirth, especially with breech, twins, and HBAC, should you invite Dr Amy back so you can apologize? The Cornell study also came out this month showing nearly the same results. Actually Dr. Amy... If I'm paying you mind-numbingly exorbitant costs to deliver my baby, as opposed to giving birth at home naturally (something women were doing since the beginning of time, long before OBs even existed, and somehow the human race survived), then it IS your job to prove to me that it's safer than the natural alternative. Doctors and hospitals certainly have a place. Not all women are able to birth naturally and without complications. That's what OBs are for: to address those complications. But to assume every woman's body is doomed to fail in regards to the most natural and biologically imperative function it's capable of is outright INSULTING. The burden of proof lies with people like you to PROVE to me that somehow every single woman's body on the planet is incapable of birthing without your intervention. I'm sorry, but every intervention forced (yes, FORCED) on me during my first birth was completely unnecessary and even more than that-- WORSE for me than the natural alternative. The first step in giving hospitals credence to their safety assertions would be for hospitals to actually follow protocols that are best for mother and baby, rather than best for the doctor's convenience. As long as hospitals prevent laboring women from eating, force them to give birth on their backs, and use terms like "failure to progress" to label their own impatience with the process, they can't possibly have a leg to stand on when they insist on their "highest level of safety." I'm sorry, but an establishment that ignores basic and straightforward science in favor of convenience and lawsuit avoidance loses their credibility when asserting their "safety." I'd rather give birth in a ditch than in a hospital again. I'd be treated with more respect and more evidence-based care. "Let's get to the data, the science, behind home birth safety in the United States." Let's! This post is almost five years old, so I'm assuming you'll want to know what the latest studies say. You can find them at ishomebirthsafe.blogspot.com. It's a great source of information provided by an LDS mother and scientist. Guess what? Every study done on planned, midwife-attended home birth in the United States has found significantly increased rates of babies dying at home birth. Even MANA's own self-selected stats showed a homebirth rate 5.5 times higher than the hospital. Wouldn't this be important information to share with prospective mothers?